Parents are natural leaders and risk managers. They are naturally protective and they may be too careful to avoid risks. But being too cautious may lead to a kind of paranoia that would prevent your kids to enjoy their childhood. Some parents are too protective that they won’t even let their kids have some outdoor fun, let alone take them camping in a place like Bryce Canyon. But your kids need to learn how it is to be with nature. And there are few better places to do this, than going camping in Bryce Canyon. It is recommended by experts that parents should make sure that the kids are comfortable enough before bringing them outdoors. If you can see that your children are comfortable, then you can feel at ease about the whole outdoor fun idea. The next thing to do is to assess your kids’ sense of risk. There are kids that lack fear, while there are some that are afraid of almost everything they are not familiar with. As their parent, you must know how to deal with this matter. If you are a bit scared yourself, about going for outdoor activity with your kids, you can simply join organized outings. These kinds of outings allow parents and kids to experience outdoor living along with other families, thus eliminating the risk of committing mistakes. On this group trips, you get to undergo training for safety including the need to carry first aid kits. Once you gain basic knowledge with outdoor activities, you will be ready to start developing safety skills for your whole family. You can start with short outings before you should start to embark on something big. You should also be able to impart some of your new learned skills with your children. That way you can be confident enough that even if you cannot fix your eyes on them all the time, they will be able to keep themselves from mischief and trouble. The first tip for outdoor activities is always to dress properly. When hiking, it is best to wear hiking boots or sneakers, and sandals are definitely not advisable. Bright colored clothes are also recommended so that everyone will be easy to spot. Do not forget to bring jackets and extra clothes. Even though you should already know this, it would still be better to make sure that you bring food, water, whistles, rain gear, flashlight, headlamp and other necessities. It is important to make sure that you all stay together. If you are going on a trail, it is best to keep on that and remind everyone else not to stray. There are trail junctions and their objective is to provide a place to wait for the rest of the company. If you realized that you are lost, stay on an open space. Keep warm and dry and start blowing your whistle. Make a noise if you hear a noise. Kids should be taught what to do in case they got lost. You, as a parent wouldn’t want any of kids lost, which is a given fact. But accidents do happen and it will be a whole lot better if they are also prepared for such emergencies. If you are bringing younger children, you should make sure that they have enough food to eat. If you are going to hike with them, make sure you stop more frequently from breaks. Kids do tire out easily, even if they sometimes can have the energy of two adults. Lastly, try to have fun. The main objective of learning outdoor safety is to make sure that you and your kids enjoy every single activity you can have while outside the comfort of your home. 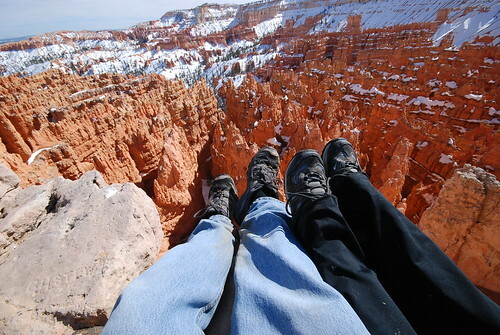 If you are prepared beforehand then camping in Bryce Canyon will be a treasure.